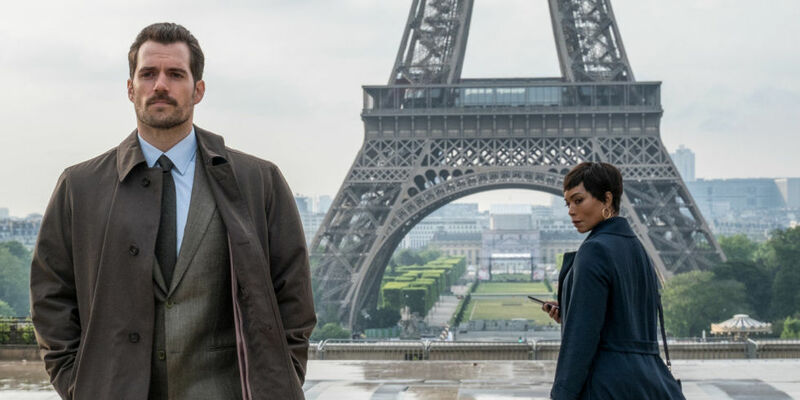 Mission: Impossible – Fallout Review : Accept the best Mission Impossible yet! In the age of Netflix, a spectacle like this makes it worth the effort and every penny it'll cost you to experience this on the biggest screen possible. The screenplay, editing, music, and cinematography all beautifully come together to create a nonstop edge of your seat tension in a true masterclass in film-making. Mission: Impossible – Fallout is the film equivalent of being on a roller-coaster. It twists, turns and gives you a mere moment to catch your breath before it plunges you into the next drop. Sure, you’ve ridden similar rides before since the film borrows multiple plot elements from the 5 that have come before it over the last 22 years. But that doesn’t make this one any less enjoyable. Deep down you know that Ethan Hunt and friends will save the day, just like you know you’ll be safe on the ride. Even when the end and the path to it is in plain sight, it doesn’t make the journey any less thrilling or exciting. The plot picks up two years post the events of Mission Impossible: Rogue Nation and is comprised of standard spy movie tropes. Bad guys have deep philosophical justifications for the dreadful things they want to do to the world. Good guys must stop them. While the premise doesn’t break any new ground, it’s the execution that truly carries this film to dizzying heights. At almost two-and-a-half hours long, this is the longest Mission Impossible film yet. Despite that, it keeps you glued to your seat for the entirety of it. It’s so briskly paced and plotted that you can’t afford to miss a second of it. You believe the stakes are real and threatening because the characters believe it. There’s not many long dramatic beats and no drawn-out exposition or subplots. Once the film gets going it doesn’t stop until the end. Tom Cruise’s Ethan Hunt is maturing and shows more emotional depth this time as he contemplates consequences of past actions. Simon Pegg’s Benji has evolved into a more prominent member of the team since Jeremy Renner was busy shooting Avengers 4, and he has fun with it. Rebecca Ferguson builds on her part from the previous entry and is again a joy to see in action. Ving Rhames, the only other actor to appear in now all 6 films is probably dealt the worst hand in terms of defining character traits or development but coasts on charisma and familiarity. Henry Cavill has commanding screen presence and Sean Harris does well but had a meatier role in the previous film. Alec Baldwin, like last time, has a short but memorable role. What’s dynamite is the chemistry between actors. The sharp dialog writing makes the character interaction scenes just as suspenseful and thrilling as the action. The film is a visual marvel. There’s two sequences that I believe are among the best use of the IMAX screen and aspect ratio ever. You truly feel the jitters owing to how immersive the experience is. It compelled me to look up the cinematographer. Rob Hardy, also the man behind the beautiful looking Annihilation from earlier this year, has done a phenomenal job. The stunt and action choreography are brilliant. It even succeeds in making vehicle chase scenes that we’ve seen 100 times before feel fresh and exciting. This was also the first time in the franchise that I truly appreciated the score beyond the iconic. Whether it’s epic spectacle or heavy character moments, the music was more grand and meaningful this time than ever before. In the age of Netflix, a spectacle like this makes it worth the effort and every penny it’ll cost you to experience this on the biggest screen possible. The screenplay, editing, music, and cinematography all beautifully come together to create nonstop edge of your seat tension in a true masterclass in film-making. Of course, none of these individual components despite their excellence would shine if they weren’t beautifully visualized in the union by Christopher McQuarrie’s confident direction. With this film, he becomes the first director to direct two films in the franchise. Not only does he deliver an improvement upon his own already great Mission Impossible: Rogue Nation from 2015; and not only does he deliver the best film in a 22-year-old franchise; he flat out delivers one of the most phenomenal action films in years. Cancel your plans this weekend, and chose to accept this mission.